Things started on track last Wednesday. I managed to add a little word count to my novel along with some editing. Thursday found me finishing a draft of the new “short” version of the Vivian’s Last Cigarette blurb. I’d been working on that thing for the better part of a month… Blurbs are hard, man. I ended up tossing everything I had worked to revise in the first two versions, and wrote a new blurb essentially from scratch. I did this off and on for weeks, and it is as maddening to reduce the first third of your novel to eight sentences as it is to spend nearly a month crafting them. What do you think? Would it entice you to read more? I think it’s solid. The feedback I’ve gotten so far confirms that feeling, and its also been called compelling and vivid. Those sound like good adjectives to be ascribed to a blurb, as the goal is to get people to trust me as an author and take a chance on the book. I do wish it could convey more of the humor I’ve written, but I think it hints at it enough (the story is about forty or fifty percent humorous). I also feel it could still be tweaked to read cleaner, but I’ll save that work until after manuscript edits are finished at this point. Thursday evening also saw the start of the technological troubles that would derail me for the next two days: My smartphone died. I’ll preface the following by saying my old smartphone left this world not owing me a damned thing. I might be somebody that works with computers daily to pay his bills, but I’m also not obsessed with having the latest and greatest so long as the tool I have does the job I need of it. I’ve been known to jury rig old tech with duct tape and rubber bands to keep it alive, or repurpose it rather than throw it away and be wasteful. My phone has become a key tool for maintaining my web presence as of late. At my new job, it is inappropriate to access things like my blogs or other social media on the company network or computers. But my smartphone is acceptable, and I use it during breaks and other downtime to stay connected. So when my phone, four years old and five generations behind the times, died… it was rather inconvenient. Yeah. So that’s how my Friday evening was spent instead of preparing my daily blogs for the week. To give you a peek behind the curtain, I write all of them in advance. The exceptions are my WIP-it Wednesday posts like this one, which I generally finish Tuesday nights. I do this to keep my weekends as open as possible to write fiction, and it’s been a successful strategy for me. That wasn’t so much the case this past Saturday. But I did get things ready for the old author’s blog despite a groggy morning spent still getting the phone to work the way I wanted it to. I even had a few hours to edit and write creatively before bedtime. 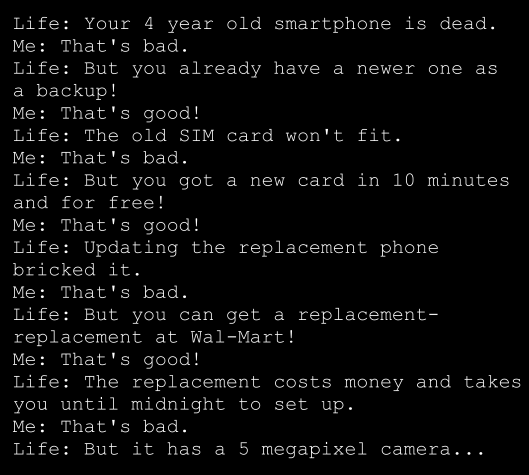 And I like my new smartphone, even if I didn’t care for its price tag. It wizzes along and is efficient, doing much that the old one couldn’t and what it could do much faster. Sunday was a whole different animal. With the phone working to my taste and the blogs done, I was able to focus the day on writing fiction. However, instead of adding more to the novel, I finished a 1,500 word short-story titled The Boy in the Jar. My initial idea was to kill two birds with this short piece. The first bird was a story inspiration springing from this month’s Reddit FantasyWriters challenge with a “Steampunk” prompt. The second was my need to craft a kick-off story for Ben Van Dongen’s “Fifth Monday” chain-serial on the Adventure Worlds story blog in January. That second bird ended up getting away… Sorry Ben. I’ll come up with something better suited for Fifth Monday on time, never fear. The Boy in the Jar, however, turned out well all the same! I started the piece on Friday during a period of downtime when writing on Vivian’s Last wasn’t an option. Before I knew it, I had it almost half written at six hundred words. I edited it and added a few hundred words more Saturday night, then finished it at fifteen hundred on Sunday afternoon. Alpha-reads came back within hours. My lovely wife Kim loved it. And my friend and fellow writer Lauren L. Garcia (check out her debut book Catalyst Moon: Incursion!) assisted with some wonderful feedback that kept me up editing until midnight. I got a forth version done Monday night, based on a reading from Jessica, another of my favorite friends and readers. 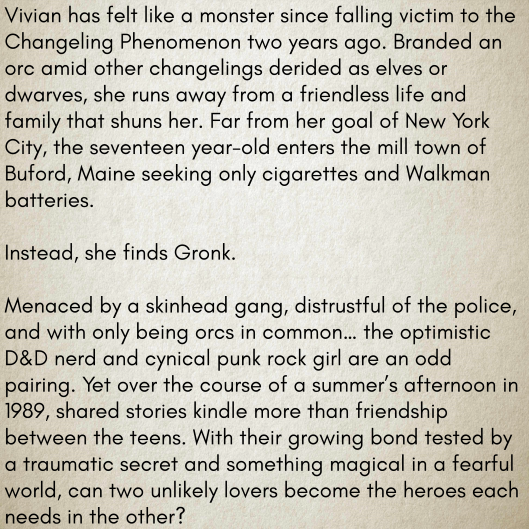 With the text now tidy and clear, it shaped up into a nice little gaslamp fantasy story! It seems to pull people in with the first line, and keep them reading until the last. I haven’t entered any FantasyWriters challenges in months, mainly because my efforts have been focused on writing the novel. But this challenge required a short subject that conspired with my inspiration and availability to result in a new creation. What’s it about? Well, it starts like the title suggests… with a boy in a jar. ;-) Don’t worry, I’ll be sharing it after the contest is over on the story blog. My upcoming week contains the Thanksgiving holiday for myself and others in the United States. The way things have come together, I’ll have five days off from the day job with the long weekend! I’m looking forward to a small gathering of family on the holiday itself, and then a string of days thereafter spent writing the closing chapters of my novel. For all of that, I’m thankful. Man, you really hit the nail on the head with blurbs. It’s not easy letting other people get their grubby hands on your hard work. Also, thanks for the shout out. I’m okay losing that story since you’re clearly not working on it last minute! You’d just better make the next one even better. Wow Jason, I’m out of breath just reading this! You’ve been mega busy! The ‘blurb’ is great. I think a lot of writers find that one of the hard bits Well done Jason. Hope you and the Missus are well.